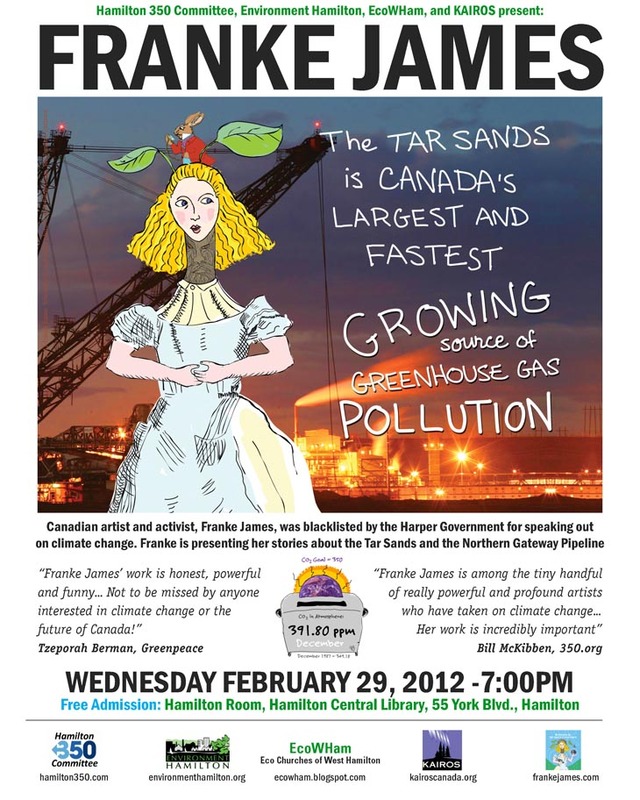 Artist, author, and speaker Franke James is an entertaining and persuasive advocate for the environment. She merges science, art, political savvy, and storytelling to inspire people to take action and ‘do the hardest thing first’ for the planet. Her lively presentations demonstrate her ‘rare skill of presenting important abstract concepts with immediacy and relevance through her art.’ Franke is the author of Bothered By My Green Conscience, and the game-book Dear Office-Politics. Franke has delivered keynote presentations and Green Conscience art and game workshops in Canada and the U.S.A.; www.frankejames.com.